Acadian Genealogy Homepage; La famille d'Eugene & Alice Theriault... establish a Guinness World Record. Guinness World Records enforce very strict copyright regulations including (but not limited to) the withdrawal of a "World Rocord" for any infrindgement and thus, the posted certificate below cannot be reproduced in any manner, by anyone (see added copyright restrictions, below). "Most siblings to reach pension age"
I began the process of applying to Guinness World Records at the request of my niece, Florence Thériault-Corriveau, on July 23, 2007. In a telephone conversation a few days earlier, Florence (daughter of Albert Thériault) married to Robert Corriveau, advised that she had recently been made aware that the previous record holder of Moncton, New Brunswick (Edgar and Anna LeBlanc) had thirteen (13) siblings and, needless to say, she felt that her own father's family of nineteen (19) children, should be formerly recognized as the world record holder. With great excitement and interest, I immediately prepared and submitted the required application to Guinness World Records, only to find out that the process is quite extensive and somewhat tedious... but, quite exciting! Incidentally, my wife Judy, who is the youngest sibling of the family (in the arms of her mother, in the picture below) was my best supporter (as always), throughout the process. Those others who assisted are too numerous to mention however, I want to personally thank my niece Florence for asking me to undertake this most challenging, interesting and enjoyable task, on behalf of the family! I love a challenge and so I immediately set out to determine exactly what was required to "break a world record" and found the first thing you need to do is tell Guinness what record you're interested in breaking. You do this by registering and filling-in the form found in the "Break a World Record" section of their website. If you tell them that you want to break an existing record they send you the current record details and the relevant rules and guidelines for you to follow, when you attempt to break that record. If you wish to try something that hasnt been done before or have already attempted a potential record, then they (Guinness) pass the suggestion on to their research department first. Their research department then decide if it's something that they're interested in establishing as a new record category. If they are, they draw up the necessary guidelines and send them to you. If not, they suggest other (or existing) records you may wish to attempt. "A total of six sons and seven daughters born to Edgar T. LeBlanc (1894-1979) and his wife Anna LeBlanc (1892 - 1989) (both Canada) of Moncton, between 1919 and 1936 all of whom were claiming a government pension in 2007, with their ages ranging from 70 to 87 years old.". Unknown to me at the time, was the fact that Guinness is reluctant to consider new claims, since each year they "receive around 65,000 record-related enquiries from people who want to set or break records. Due to the number of queries they receive, it usually takes them between 8 and 10 weeks to reply, although sometimes it may take longer given the sheer volume of claims and queries they receive". Understandably, they prefer to have applicants attempt to break existing records. Thus, on October 30, 2007 (my birthday), I re-submitted the application under the title "Most siblings to reach pension age", together with supporting documents (about one-inch thick), by Xpress Post! You can view a few of the important documents submitted, below. On November 5, 2007, I found the following posted on the Guinness web site: "We have received the documentation regarding your record attempt and we will endeavour to review it within 6 to 8 weeks from receipt". This lead me to believe we might just get our special 'Christmas present'! No such luck. On December 22, 2007 I found the following posted on the Guinness web site: "We are currently closed for the festive period and will reopen on 4 January 2008. Unfortunately this means that we are not able to deal with any more claim enquiries this year but please do return to the website in the New Year. Thank you for your interest in Guinness World Records and happy holidays!" The current record for "Most siblings to reach pension age"
The most siblings to reach pension age is 19, seven sons and twelve daughters, born to Eugene (1892 - 1962) and Alice Theriault (1896 - 1967) (both Canada), between 1920 and 1941, all of whom were claiming a government pension in 2007 with their ages ranging from 66 to 87." Note to Media: Contact me directly for any added information. Guinness World Records enforce very strict copyright regulations including (but not limited to) the withdrawal of a "World Rocord" for any infrindgement and thus, the above-posted certificate cannot be reproduced in any manner, by anyone (see added copyright restrictions, below). Contact me if you require additional information, before placing an order for copy of certificate. SECOND ROW (Left to right): Antoinette , Marie-Anne , Jean-Baptiste , Father Eugène [1892-1962], Mother Alice [1896-1967], Juliette (Judy) in mothers arms , Lévite , Cécile [1927-2009], Yvonne [1920-2007]. BACK ROW (Left to right): Léa (Twin) , Léda (Twin) , Jeanne , Albert [1924-2008], Alfred . Situated in mid-western New Brunswick, the Grand Falls Region is within ready access to Atlantic Canada and Central Canada, as well to the New England States. The town of Grand Falls is the center of economic activity for the region which encompasses eight communities and a population of approximately 30 000 within a radius of 30 km. The region contains valleys, high plateaus, two great rivers, and countless streams and lakes. Nestled on both sides of the Gorge, Grand falls is an agro-industrial community, the only town in Canada with a name in both official languages Grand Falls / Grand-Sault. The town was named Grand Falls because of the largest waterfall east of Niagara Falls, dropping from a height of 23 meters (75 feet). GRAND SAULT - Des membres d'une grande famille acadienne du Nouveau-Brunswick déclarent qu'ils méritent de figurer au livre des records comme la famille comptant le plus d'enfants vivants de 65 ans et plus. Les 18 enfants de Eugène et Alice Thériault, de Grand Sault, au Nouveau-Brunswick, encaissent tous maintenant leur chèque de pension, un exploit qui devrait leur ouvrir la porte du livre des records Guinness. Les sept fils et 12 filles de la famille Thériault sont nés à Grand Sault dans le nord de la province entre 1920 et 1941. Les 19 membres de la famille ont touché leur chèque de pension en 2007. Cependant, Yvonne, la plus âgée de la famille, est décédée en août dernier. Elle était âgée de 87 ans. «Même si les dix-neuf enfants sont tous nés a Grand-Sault et que quelques-uns y demeurent encore, plusieurs sont déménagés aux États-Unis, en Ontario et au Québec alors c'est très difficile d'organiser des réunions de famille en considérant que la famille élargie compte au-delà d'une centaine de personnes», de déclarer Yvon Cyr, un généalogiste acadien, époux de Judy Thériault, la cadette. M. Cyr a indiqué que les frères et soeurs comptent au total 40 enfants et 46 petits-enfants. La famille de Grand-Sault vient ravir le titre qui avait été établi par la famille LeBlanc, de Moncton. GRAND-SAULT - Une famille de 19 enfants, ayant ses origines à Grand-Sault, sera reconnue dans le Livre des records Guinness comme étant celle ayant le plus grand nombre de bénéficiaires de prestations de retraite. Les 18 enfants d'Eugène et Alice Thériault, de Grand Sault, encaissent tous leur chèque de pension. Les sept fils et 11 filles de la famille Thériault sont nés à Grand-Sault de 1920 à 1941. Les 19 membres de la famille ont touché leur chèque de pension en 2007. Cependant, Yvonne, la plus âgée de la famille, est décédée en août. Elle était âgée de 87 ans. GRAND FALLS, N.B. - Members of a large Acadian family from New Brunswick say they have earned a place in the record books as the family with the most siblings over the age of 65. The 19 children of Eugene and Alice Theriault of Grand Falls, N.B., are all collecting pension cheques - a feat that they say has given them a Guinness world record. The seven sons and 12 daughters in the Theriault family were born in Grand Falls in northwestern New Brunswick between 1920 and 1941. All 19 siblings were claiming their government pensions in 2007, although the eldest member of the family, Yvonne, died in August at the age of 87. Genealogist Yvon Cyr, who is married to Judy - the youngest sibling at 65 - said the brothers and sisters have 40 children and 46 grandchildren. "While the 19 siblings were all born in Grand Falls where a few now remain, many have moved to the United States, Ontario and Quebec," Cyr said Monday. "It makes it difficult to organize family reunions." 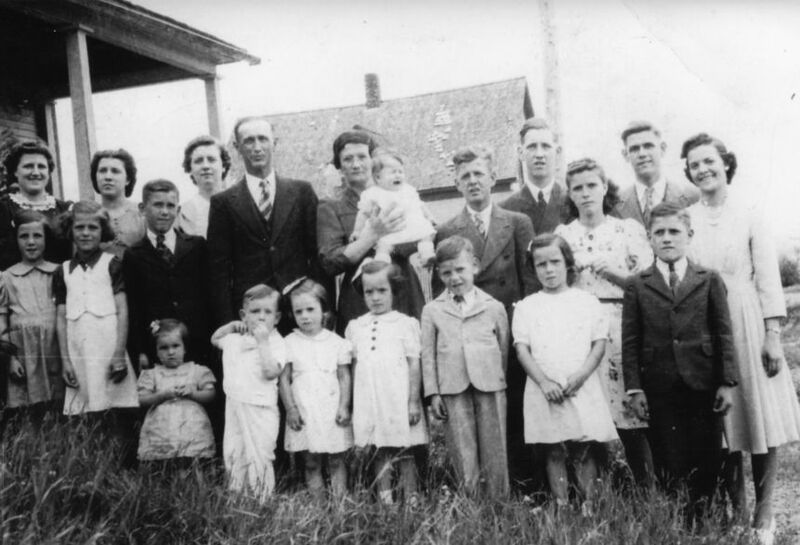 Large families used to be common in Acadian New Brunswick. Last July, members of the Edgar and Anna LeBlanc family in Moncton, N.B., said they had established a new Guinness record in the category "Most Siblings to Reach Pension Age." The 13 children in the LeBlanc family were honoured by the City of Moncton for their achievement. It was news coverage of that event that prompted the Theriault family to enter its claim, which smashed the record set by the LeBlancs. The 13 brothers and sisters in the LeBlanc family have 55 children, and the 100th grandchild was recently born. Recent census information indicates that across Canada, large families like the LeBlancs and the Theriaults are increasingly a thing of the past. Les records sont faits pour être brisés, si l'on s'en tient au record mondial des 13 enfants d'une même famille, établi par une famille LeBlanc de Moncton en 2007. 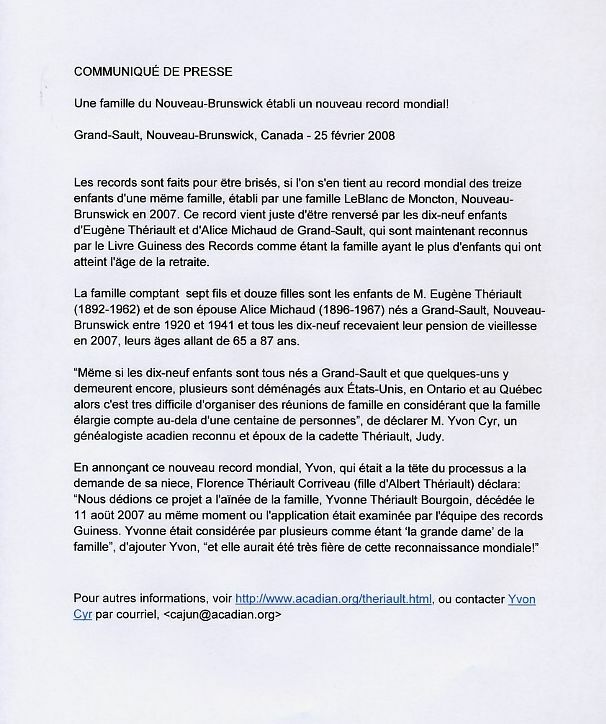 En effet, ce record vient juste d'être renversé par les 19 enfants d'Eugène Thériault et d'Alice Michaud de Grand-Sault, qui sont maintenant reconnus par le Livre des records Guinness comme étant « la famille ayant le plus d'enfants qui ont atteint l'âge de la retraite ». La famille de sept fils et douze filles sont les enfants de Eugène Thériault (1892-1962) et de son épouse, Alice Michaud (1896-1967), nés a Grand-Sault entre 1920 et 1941. Tous les 19 recevaient leur pension de vieillesse en 2007, leurs âges allant de 65 a 87 ans. « Même si les 19 enfants sont tous nés à Grand-Sault et que quelques-uns y demeurent encore, plusieurs sont déménagés aux États-Unis, en Ontario et au Québec alors c'est tres difficile d'organiser des réunions de famille en considérant que la famille élargie compte au-delà d'une centaine de personnes », a déclaré Yvon Cyr, un généalogiste acadien reconnu et époux de la cadette Thériault, Judy. Members of a large Acadian family from New Brunswick say they have earned a place in the record books as the family with the most siblings over the age of 65. The 18 surviving children of Eugene and Alice Theriault of Grand Falls, N.B., are all collecting pension cheques - a feat that they say has given them a Guinness world record. The seven sons and 12 daughters in the Theriault family were born in Grand Falls in northwestern New Brunswick between 1920 and 1941. All 19 siblings were claiming their government pensions in 2007, although the eldest member of the family, Yvonne, died in August at the age of 87. Genealogist Yvon Cyr, who is married to Judy - the youngest sibling at 65 - said the brothers and sisters have 40 children and 46 grandchildren. "While the 19 siblings were all born in Grand Falls where a few now remain, many have moved to the United States, Ontario and Quebec," Cyr said Monday. "It makes it difficult to organize family reunions." Last July, members of the Edgar and Anna LeBlanc family in Moncton, N.B., said they had established a new Guinness record in the category "Most Siblings to Reach Pension Age." The 13 children in the LeBlanc family were honoured by the City of Moncton for their achievement. It was news coverage of that event that prompted the Theriault family to enter its claim, which smashed the record set by the LeBlancs. The 13 brothers and sisters in the LeBlanc family have 55 children, and the 100th grandchild was recently born. Records are made to be broken, or so it seems, given the existing world record of 13 siblings established by a LeBlanc family of Moncton in 2007, has just been smashed by the 19 siblings of Eugene Theriault and Alice Michaud of Grand Falls, who are now recognized by the Guinness World Records, as the family with the most siblings to reach pension age. The family of seven sons and twelve daughters were born to Eugene Theriault (1892-1962) and his wife Alice (Michaud) (1896-1967) in Grand Falls between 1920 and 1941 and all were claiming their government pension in 2007, with their ages ranging from 65 to 87 years old. "While the 19 siblings were all born in Grand Falls where a few now remain, many have moved to the United States, Ontario and Quebec which makes it difficult to organize family reunions, considering the large extended family of 40 spouses, 40 children, 46 grandchildren and two great-grandchildren", stated Yvon Cyr, a well-known Acadian genealogist and husband of the youngest sibling Judy. "We are dedicating this project to the eldest sibling, Yvonne (Bourgoin), who died in August 2007, as the application was being processed by Guinness World Records. Yvonne was considered by many as the grand lady' of the family and she would have been so proud of this recognition," added Cyr, who took on the application process at the request of his niece, Florence Thériault-Corriveau (daughter of Albert Thériault). "I began the process of applying to Guinness World Record on July 23, 2007. In a telephone conversation a few days earlier, Florence, who is married to Robert Corriveau, advised that she had recently been made aware that the previous record holder of Moncton, New Brunswick (Edgar and Anna LeBlanc) had 13 siblings and, needless to say, she felt that her own father's family of 19 children, should be formerly recognized as the world record holder." I want to personally thank my niece Florence for asking me to undertake this most challenging, interesting and enjoyable task, on behalf of the family!" "I love a challenge and so I immediately set out to determine exactly what was required to break a world record' and found the first thing you need to do is tell Guinness what record you're interested in breaking. You do this by registering and filling in the form found in the Break a World Record' section of their website. If you tell them that you want to break an existing record, they send you the current record details and the relevant rules and guidelines for you to follow, when you attempt to break that record." "If you wish to try something that hasn't been done before or have already attempted a potential record, then they (Guinness) pass the suggestion on to their research department first. Their research department then decides if it's something that they're interested in establishing as a new record category. If they are, they draw up the necessary guidelines and send them to you. If not, they suggest other (or existing) records you may wish to attempt." 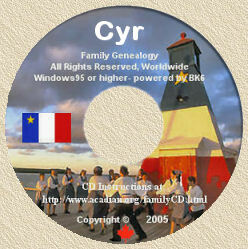 Cyr submitted the initial claim to Guinness on July 23, 2007 and entitled it Largest Living French Acadian Family'. Guinness issued a claim I.D. number however, subsequently advised Cyr on September 24, 2007 that the current record for Most siblings to reach pension age' was a total of six sons and seven daughters born to Edgar T. LeBlanc (1894-1979) and his wife Anna LeBlanc (1892 - 1989) of Moncton, between 1919 and 1936 all of whom were claiming a government pension in 2007, with their ages ranging from 70 to 87 years old. Unknown to Cyr at the time was the fact that Guinness is reluctant to consider new claims, since each year they receive around 65,000 record-related enquiries from people who want to set or break records. "Due to the number of queries they receive, it usually takes them between eight and 10 weeks to reply, although sometimes it may take longer given the sheer volume of claims and queries they receive. Understandably, they prefer to have applicants attempt to break existing records," Cyr said. Thus, on October 30, 2007 (Cyr's birthday), he re-submitted the application under the title Most siblings to reach pension age', together with supporting documents (about one-inch thick), by Xpress Post. On November 5, 2007, Cyr found the following posted on the Guinness web site: "We have received the documentation regarding your record attempt and we will endeavour to review it within six to eight weeks from receipt". "This led me to believe we might just get our special Christmas present'!" No such luck. On December 22, 2007, Cyr found the following posted on the Guinness web site: "We are currently closed for the festive period and will reopen on Jan. 4 2008. Unfortunately, this means that we are not able to deal with any more claim enquiries this year but please do return to the website in the New Year. Thank you for your interest in Guinness World Records and happy holidays!" GRAND FALLS - Members of a large Acadian family say they have earned a place in the record books as the family with the most siblings over the age of 65. The 18 surviving children of Eugene and Alice Theriault of Grand Falls are all collecting pension cheques -- a feat that they say has given them a Guinness world record. Genealogist Yvon Cyr, who's married to Judy -- the youngest sibling at 65 -- said the brothers and sisters have 40 children and 46 grandchildren. "While the 19 siblings were all born in Grand Falls where a few now remain, many have moved to the United States, Ontario and Quebec," Cyr said. Last July, members of the Edgar and Anna LeBlanc family in Moncton said they had established a new Guinness record in the category Most Siblings to Reach Pension Age. GRAND FALLS, N.B. - Members of a large Acadian family from New Brunswick say they have earned a place in the record books as the family with the most siblings over the age of 65. GRAND FALLS, N.B.  Members of a large Acadian family from New Brunswick say they have earned a place in the record books as the family with the most siblings over the age of 65. The 18 surviving children of Eugene and Alice Theriault of Grand Falls, N.B., are all collecting pension cheques  a feat that they say has given them a Guinness world record. Geneologist Yvon Cyr, who is married to Judy  the youngest sibling at 65  says the brothers and sisters have 40 children and 46 grandchildren. Large families are typical in Acadian New Brunswick. By: THE CANADIAN PRESS GRAND FALLS, N.B. - Members of a large Acadian family from New Brunswick say they have earned a place in the record books as the family with the most siblings over the age of 65. The 18 surviving children of Eugene and Alice Theriault of Grand Falls, N.B., are all collecting pension cheques - a feat that they say has given them a Guinness world record. The seven sons and 12 daughters in the Theriault family were born in Grand Falls in northwestern New Brunswick between 1920 and 1941. All 19 siblings were claiming their government pensions in 2007, although the eldest member of the family, Yvonne, died in August at the age of 87. Genealogist Yvon Cyr, who is married to Judy - the youngest sibling at 65 - said the brothers and sisters have 40 children and 46 grandchildren. "While the 19 siblings were all born in Grand Falls where a few now remain, many have moved to the United States, Ontario and Quebec," Cyr said Monday. "It makes it difficult to organize family reunions." Large families used to be common in Acadian New Brunswick. Last July, members of the Edgar and Anna LeBlanc family in Moncton, N.B., said they had established a new Guinness record in the category "Most Siblings to Reach Pension Age." The 13 children in the LeBlanc family were honoured by the City of Moncton for their achievement. It was news coverage of that event that prompted the Theriault family to enter its claim, which smashed the record set by the LeBlancs. The 13 brothers and sisters in the LeBlanc family have 55 children, and the 100th grandchild was recently born. Recent census information indicates that across Canada, large families like the LeBlancs and the Theriaults are increasingly a thing of the past. GRAND FALLS, N.B. - Members of a large Acadian family from New Brunswick say they have earned a place in the record books as the family with the most siblings over the age of 65. The 18 surviving children of Eugene and Alice Theriault of Grand Falls, N.B., are all collecting pension cheques - a feat that they say has given them a Guinness world record. Eighteen members of the Arcadian family Theriault have made it to the Guinness book of records for the most siblings over the age of 65. Between 1920 and 1941 Eugene and Alice Theriault welcomed seven sons and 12 daughters into their Grand Falls home. In 2007 all 19 siblings were claiming government pensions until August when Yvonne died at the age of 87. Between the siblings there have been 40 children and 46 grand-kids spread out from Grand Falls, Ontario, Quebec and the United States. While the 19 siblings were all born in Grand Falls where a few now remain, many have moved to the United States, Ontario and Quebec, Yvon Cyr husband to the baby of the bunch Judy said Monday. Last July the 13 children of Edgar and Anna LeBlanc from Moncton, N.B. established a new Guinness record for Most Siblings to Reach Pension Age. The news coverage prompted the Theriaults to vie for the rightful claim. The LeBlancs do beat the Theriaults on expanding their brood though. The siblings children total 55 with the 100th grand-baby born recently. The seven sons and 12 daughters in the Theriault family were born in Grand Falls in northwestern New Brunswick between 1920 and 1941. All 19 siblings were claiming their government pensions in 2007, although the eldest member of the family, Yvonne, died in August at the age of 87. Geneologist Yvon Cyr, who is married to Judy - the youngest sibling at 65 - says the brothers and sisters have 40 children and 46 grandchildren. Large families are typical in Acadian New Brunswick. GRAND FALLS, N.B. -- Members of a large Acadian family from New Brunswick say they have earned a place in the record books as the family with the most siblings over the age of 65. The 18 surviving children of Eugene and Alice Theriault of Grand Falls, N.B., are all collecting pension cheques -- a feat that they say has given them a Guinness world record. GRAND FALLS, N.B. (CP)  Members of a large Acadian family from New Brunswick say they have earned a place in the record books as the family with the most siblings over the age of 65. The 18 surviving children of Eugene and Alice Theriault of Grand Falls are all collecting pension cheques  a feat they say has given them a Guinness world record. Genealogist Yvon Cyr, who is married to Judy  the youngest sibling at 65  said the brothers and sisters have 40 children and 46 grandchildren. The collective longevity of the Leblanc family has put them in the record book - Guinness World Records, to be exact. But other families are challenging their title. (See below). It all started this summer  in Moncton, when the Leblancs toasted their remarkable achievement: a spot in the Guinness World Records. The largest family with all surviving siblings being of pensionable age. They are 13, ranging in age from 71 to 88. The Leblanc clan have beat the odds ... and the previous record holders, who had 12. If the siblings thought they deserved a medal for putting up with their brothers and sisters growing up, they certainly never thought they were headed to the famed record book. "A year ago, my two nieces decided to give it a try to see if we could make it to the record book," said Euclida Bourque, one of the 13 siblings. "And we did. It was a wonderful surprise." The family grew up in Moncton, where Bourque and three of her brothers still live. All 13 of them gathered in their hometown this summer to be honoured by city officials for their entry in the Guinness book. Their heartwarming story caught the attention of other large families. Since then, at least three other families have challenged them and claim they could break the Leblanc's record. One of them is the Fleury family from St. Leonard d'Aston, Que., on the south shore of the St. Lawrence River, halfway between Quebec City and Montreal. "We're more than them, we are 15!" exclaimed Lucille Fleury, one of the 12 sisters of the family. For now, there are 14 of them of pensionable age - 65 or older - but next year a 15th will join the group, Fleury said. "It would be an honour for us to have that recognition," explained Fleury, who'd like the record as a tribute to her parents who worked really hard to raise their family. "My mom died at 94 and she took care of her mother and her father, at home, until their death," she said. "You don't see that very often anymore." But another Quebec family is also coveting the title. The Dumoulins from Coaticook, in the Eastern Townships, are 13 siblings of pensionable age and by 2010 they will be 15. "It's the battle of the cradles! I don't think we will ever see that again in the history of mankind," said Jean-Maurice Dumoulin. "And for that, I think we deserve a medal." If not from the Guinness book, then it should come from Quebec's National Assembly or the Vatican, suggested Dumoulin. "The Church always canonizes people that lived their life as a single person. What do they do about our moms and dads who sacrificed everything for the sake of their family? They are never canonized and I am outraged by this," he said. The last clan to enter the fray is the Theriault family from New Brunswick. They are 19 siblings, all still very much alive, aged between 65 and 87. It's a granddaughter of the prolific couple who has decided to enter the contest to pay tribute to her grandparents. "I think it's wonderful that other families are doing the same. It brings the family closer," said Euclida Bourque, who isn't upset that her family's title is highly sought-after. "They should have the same recognition as we did. It's not a question of being dethroned," she said. Yvon's Comments: "And now the record is 19!" "While the 19 siblings were all born in Grand Falls where a few now remain, many have moved to the United States, Ontario and Quebec," Yvon Cyr husband to the baby of the bunch Judy said Monday. Last July the 13 children of Edgar and Anna LeBlanc from Moncton, N.B. established a new Guinness record for "Most Siblings to Reach Pension Age." The news coverage prompted the Theriault's to vie for the rightful claim. The LeBlanc's do beat the Theriault's on expanding their brood though. The siblings children total 55 with the 100th grand-baby born recently. - Members of a large Acadian family from New Brunswick say they have earned a place in the record books as the family with the most siblings over the age of 65. Copyright © 2008 The Canadian Press, All Rights Reserved. WHEN IT comes to bigger, the Michaud-Theriault family of Grand Falls, N.B., has set a new world record. It has the most siblings over 65 receiving government pensions, according to Guinness World Records. When Yvon Cyr, a well-known Acadian genealogist and husband of Judy, the youngest Theriault sibling, submitted the application last summer, all seven sons and 12 daughters of Eugene Theriault and Alice Michaud-Theriault were receiving government pensions. The title had been held by another New Brunswick family, the 13 children of Edgar and Anna LeBlanc of Moncton. Mr. Cyr told Madeleine Leclerc of the Victoria Star in Grand Falls that the application process to claim the title was "quite extensive and somewhat tedious, but quite exciting!" There was a lot of waiting, and in the process, the family lost one of its members. "We are dedicating this project to the eldest sibling, Yvonne (Bourgoin), who died in August 2007, as the application was being processed by Guinness World Records," Mr. Cyr said. "Yvonne was considered by many as the grand lady of the family and she would have been so proud of this recognition." That recognition finally came last month. The Michaud-Theriault family now holds the current record for "Most siblings to reach pension age" with their ages ranging from 66 to 87. Director - School of Journalism, University of Kings College. ... and the world record was again broken by Grand Falls, in 2011. In 1951, Sir Hugh Beaver, then the managing director of the Guinness Brewery, went on a shooting party and became involved in an argument. Which was the fastest game bird in Europe  the golden plover or the grouse? He realized then that a book supplying the answers to this sort of question might prove popular. He was right! Sir Hughs idea became reality when Norris and Ross McWhirter, who had been running a fact-finding agency in London, were commissioned to compile what became The Guinness Book of Records. The first edition was bound on August 27, 1955, and went to the top of the British bestseller lists by Christmas that year. Since then, Guinness World Records has become a household name and the global leader in world records. No other enterprise collects, confirms, accredits and presents world record data with the same investment in comprehensiveness and authenticity. The Records Management Team maintains a vigilant watch to guarantee the accuracy and relevance of each and every Guinness World Record, the team of Records Managers operates with unswerving impartiality and commitment to veracity. A fact may only become a Guinness World Record when its tested, verified and elevated above all suspicion. The book has gone on to become a record breaker in its own right. With sales of more than 100 million copies in 100 different countries and 24 languages, Guinness World Records is the worlds best ever selling copyright book! The words Guinness World Records and the "star and column" logo (above) are trade marks of Guinness World Records Limited, and are protected by trade mark registrations or applications for registrations, throughout the world. Their usage is restricted and very limited. For example, no one can use the above GWS Logo anywhere on any press release. a) issue press releases stating your intention to break a Guinness World Record* or, your success in achieving one. c) state that you have achieved one, provided that the words are used in the body of the text, and not in headlines. f) These free uses only applies to the words Guinness World Records. You do not have permission to use the round logo for free. g) Any other kind of usage requires Guinness' permission, and usually incurs a fee. (* Please ensure that any mention of Guinness World Records is accompanied by the trade mark "TM" sign in small-point lettering). Tareau, Tario, Téio, Terau, Terault, Tereaux, Teriau, Teriault, Teriaut, Terio, Teriot, Terrault, Terreau, Terreault, Terriau, Terriaud, Terriault, Terriaux, Terrieux, Terrio, Terriot, Terriou, Terrot, Teryo, Thario, Therall, Therault, Therialt, Theriatt, Theriau, Thériaud, Theriault, Thériault, Theriaut, Therieau, Theriet, Therioult, Theroux, Therriau, Thérriault, Therio, Theriott, Thériot, Therrio, Therriot, Theuriet, Theurillat, Thierault, Thieret, Thierie, Thieriot, Thierot, Thierrot, Thireault, Thirieau, Thiriet, Thiriez, Thirion, Thiriot, Tourault. Consistent with the spelling found in the Census of 1671, contemporary genealogists Arsenault [ref: 1] and Beauregard [ref: 15] use 'TERRIAU' for the first two generations (Jehan and his children) and 'TERRIOT' for the third generation (Arsenault). Lanctot [ref: 9] uses 'THÉRRIOT' for Jehan's family name perhaps based on his understanding of the spelling currently used in France. The census notwithstanding, Stephen A. White in his new work "DICTIONNAIRE GÉNÉALOGIQUE DES FAMILLES ACADIENNES", chose THÉRIOT as his preferred variant with TERRIOT and THÉRIAULT as alternatives. Although some of these choices demand explanations, no explanations are offered by any of these researchers. It is clear that for nearly one hundred years the 'TERRIOT' variant was recorded repeatedly by several different census takers as reported to them by several different Terriot families and generations of Terriot's. Thus, we have chosen to use the Terriot variant for the early Acadian generations (pre-Deportation). For the post-Deportation generations, we use the variant as recorded in our sources. But in general, the predominant variants for the those generations are 'Theriault' for the Canadian families and 'Theriot' for the Louisianan families. The modern variant that is currently used in France is 'Thérriot' or 'Terriot'. So to summarize, we use the 'TERRIOT' form of the family name in this archive for the first five generations of the family for the following reasons: (1) it is a variant that is most commonly found in the census records of Acadia, (2) it is one of the forms still used today in the TERRIOT ancestral region of France, (3) it is a variant identified and acknowledged by many researchers including most recently Stephen White, and (4) it more clearly shows the evolution of the name to 'THERRIOT' in the early 1700's and then to the Louisiana 'THERIOT' variation and the Canadian variations 'THERIAULT', 'THÉRIAULT, 'THÉRRIAULT'. Finally, a note regarding Jehan's first name. Jehan is the medieval version of our contemporary 'Jean'. Going back earlier to the 15th century, it was Jehanne D'Arc, not Jeanne D'Arc who pushed the English off the continent. Although some researchers consider Jehan to be archaic and prefer the modern 'Jean', I think that from a historic viewpoint, using the medieval form sets the timeframe for this important person. There is also an distinction to be made in the pronunciation because the medieval form has two syllables compared to the monosyllabic modern 'Jean'. And so, for us in our Archive, it will be 'Jehan TERRIOT'. 2. In the 1671 Census of Acadia [ref: 4], Perrine's maiden name is recorded as 'Rau' or 'Reau'. In other records, her maiden name is recorded as Ruau, Bau, Beau, or Breau. No records exist of the identity of her parents. So, much speculation exists today as to Perrine's real maiden name. But it is very clear that in the 1671 Cenus of Acadia, her name is recorded as 'Rau' or 'Reau' depending on the interpretation of the letters 'e' and 'a'. So, for the record-keepers and genealogists, there is no controversy as to the record. But for others who are interested in determining the history of the Theriault family, there are several questions. First, is there a chance that her name was not correctly recorded? The answer to that is of course there is a very good chance that her name was not correctly recorded. The principle fact that brings that name into question is that there is no knowledge of the 'Reau' or 'Rau' family every having lived in the ancient province of Poitou. Census-takers, immigration officials, cartographers have notoriously misrecorded names either through lack of written information, ignorance or cultural or language differences. Some of the more notorious examples are reflected in the Ellis Island records of US immigrants as recently as 1920. A quick review of almost any of the US censuses will reveal many very obvious errors in spellings. In this controversy, the researchers are divided into three groups: (1) those who will either not speculate or who believe that the census-taker correctly recorded her maiden name; (2) those who believe that Perrine's last name was incorrectly recorded and was actually Brault or some variant, and (3) those who believe that Perrine's last name was incorrectly recorded and was actually Bourg or some variant. Arsenault asserts that Bourg is the correct choice, while Lanctot chooses Breau. Unfortunately, neither support their claims. Steven White in his new work "DICTIONNAIRE GÉNÉALOGIQUE DES FAMILLES ACADIENNES", does not identify Perrine's parents and correctly reflects the record of the Census of 1671. It should be noted that while some published records including the Linda Dubé and Father Cyr genealogies record Antoine Bourg and Antoinette Landry as the father and mother, respectively, of Perrine, there is no established record which supports this claim. So, all claims regarding Perrine's maiden name remain hypothetical. The only fact pertaining to Perrine's maiden name is that the Census of 1671 identifies that name as being 'Reau' or 'Rau'. That is not to say, that her maiden name was actually 'Reau (Rau)', it simply says that the census-taker understood and recorded her name as Perrine Reau (Rau). "More than half of the records from 1626 to 1650 concern the names of families which we find among the families listed in the 1671 Census of Acadia: Babin, Belliveau, Bertrand, Bour, Brault (in the feminine Braude), Brun..." She continues "The names of Blanchard, Bourg, Brault, Giroire, Godet, Guerin, Poirier, Terriot were among the tenants of the mother of Charles d'Aulnay." It should also be noted that the 'Ruau' family does exist today in the Loire region of France as does the 'Reau' family but not in the area where the 'Terriot's' are said to have come from. As far as we know, the only instance in which this name shows up in any of the Acadian records and history is in the first Acadian census. For these reasons, we believe that Perrine's maiden name was misunderstood and incorrectly recorded in the Census of 1671. And, since no definitive evidence is available to resolve this ambiguity, we have chosen to side with the 'Brault' advocates simply because the Acadian Census of 1671 gives her last name as Reau or Rau whose pronunciation is phonetically closer to Brault than to Bourg. 3. There are different accounts of the year that Jehan and Perrine Therriot emigrated to Acadia. See EndNote 15 for details. 4. Le Have is the anglicized version of the original name, Le Hève. Le Have was actually the government seat of Acadia from 1632- 1636. 5. Actually, a more complete account of the sail is given in the "The Sail from La Havre to Le Hève" section. 7. According to some accounts, the last point of departure from France was La Havre. See "The Sail from La Havre to Le Hève" section. 8. Not far from Roiffe is a 'working' castle, Chevigny located a very short distance and almost due east of Roiffe. The family who owns the 'chateau' are there to welcome the visitors who are welcome to tour certain parts of the castle. The grounds are beautifully manicured. It makes for a very pleasant day visit. We also recommend Chenonceau and Chambord, in the order. The two are further east not too far. 9. Our 'Joseph T. Theriault' archive is largely based on three sources: (1) the Theriault genealogy research of Father Louis J. Cyr [ref: 16], (2) the compilation of Theriault family data by Linda Dube [ref:10] and information received from individual family members. 10. Here you are at the Endnote referenced in the Introduction section. Now, before returning to the section you were reading, close this window by clicking on the 'X" at the top right corner of this window. 11. See Note 1 for the rationale behind using 'TERRIOT' for the Acadian generations of the THERIAULT/THERIOT family. 12. During our visit with M/Mme Reno Therriot of Loudun, France in May 1993, Monsieur Therriot explained that Jehan Terriault had worked as an apprentice in a major project to reclaim the marshlands around La Rochelle. This work was apparently conducted under the direction of an order of monks from the Netherlands who were skilled at dyke-building and land reclamation. Monsieur Therriot is genealogist for the Therriot family in France. William Faulkner Rushton[ref: 14] makes reference to these projects in his book and of the role of the Dutch in the land-reclamation projects. He writes that a "mid-century expedition brought to Port Royal colonists who were familiar with Dutch-aided land-reclamation projects along the western coast of France." Rushton also discusses the possibility that the Acadians may also have acquired or refined their dyke-building skills from the local Micmac Indians in Acadia. 14. This note was intentionally left blank. Father Lanctôt who believes that they both came over in 1632 to help settle La Hève presents the first hypothesis. The second hypothesis as presented by Arsenault is that Jehan and Perrine took the voyage together in 1636 and settled in Port Royal, one year after their wedding. And there are others like Denis Beauregard iin his 'Dictionnaire Généalogique de nos Origines (DGO)', [ref: 15] who goes no farther than to say that "Peut-etre arrive entre 1632 et 1636/Probably arrived between 1632 and 1636". Source: Robert Rumilly's historical reference on people in French Acadia or English Acadia. The third is a hypothesis that I do not believe is yet documented so we will give it the name, the Theriault Hypothesis. It is far from original and is shared by many others. It is based on interpretations of several arguments and facts, which I will present here. The hypothesis is that Jehan first came over by himself as a single man in 1632 and helped establish the settlement of La Hève. Some time before 1636, he received Charles de Menous permission to return to France to marry Perrine with the intent to return with his new bride the following year. At the time, Charles de Menou had similar plans for his bride-to-be, Jeanne Motin. Of course with Isaac de Razillys death in November 1635, Charles de Menou abandoned the plan for La Hève and moved the La Hève settlement to Port Royal the following year. Jehan and Perrine arrived in April 1636 with Charles de Menous bride-to-be in time to help move the La Hève settlement to Port Royal and start their family. Notwithstanding Mr. Arsenaults assertions to the contrary, it is generally accepted that Jehan was part of the first expedition in 1632 to La Hève and is widely recorded as such in several museums including at the museum of Pointe-du-Fort in La Have. The basis for Mr. Arsenaults assertion is Madame Massignons research, which shows only that most of the family names of the settlers, recorded in the Acadian census of 1671 were family names from the La Chaussée area. It stops short of identifying specific individuals and clarifying the departure dates for any of specific settlers. For details of Arsenaults account of these events, see Arsenault Account. Lanctôts hypothesis on the other hand does not explain a serious discrepancy in the marriage year. If it is true that that Jehan and Perrine came over in 1632, why is their marriage date given as 1635? In addition, it is not conceivable (no pun intended) that Jehan and Perrine would marry and not have any children for five years. It is a recorded fact that their first-born, Charles was born in 1637. If they married in 1632 or some time before, can it be that they waited for five years before having their first child? Or, did Father Molin misunderstand the marriage year the same way that he did not understand Perrines maiden name correctly. We know as given by Genevieve Massignon that the custom at that time was for a couple to marry just before leaving for the New World. For details of Lanctôts account of these events, see Lanctôt Account. 16. Razillys body was later exhumed and transported to Louisbourg in 1749. 17. Translated from Familles Acadiennes, Tome II, Léopold Lanctôt, o.m.i, Éditions du Libre-Échange. 18. Translated from: Histoire et Genealogie des Acadiens, Histoire des Acadiens, Tomes I and II, Bona Arsenault, Television de la Baie des Chaleurs Inc.
19. Footnote from Arsenault: Taken from Genevieve Massignons Les parlers français dAcadie, Vol. I. 20. Footnote from Arsenault: Les parlers français dAcadie, Vol. I, Librairie Klincksieck, Paris. 21. Footnote from Arsenault: Ibid. 22. Footnote from Arsenault: Genevieve Massignon, Les parlers français dAcadie, vol. 1, p. 40. 23. The Fort Point museum is operated by the Lunenberg County Historical Society. 24. The inhabitants of the upper Saint John Valley still to this day consider themselves Acadian instead of French Canadian, largely because of the origins of most of their ancestors from Acadia. In fact, to many the Acadian distinction is even more important than the American-Canadian distinction. 25. The term 'sequencing' is the art of composing music by using a computer and music composition software. 26. On a question to Barry Taylor about sets, he answered: "The playing of sets probably originated with structured folk dancing, which required music to be played to defined lengths corresponding to the completion of a series of planned manoeuvres by the dancers. Scottish country dancing, for example, frequently requires exactly 64 measures of music to complete all the dancing patterns. Fiddlers playing at 'sessions' also chained tunes together to avoid having to stop after each tune to discuss what to play next. So all players could learn the same tunes and know what was coming next, these 'sets'... especially the well-planned ones... tended to become defined or fixed. Though I don't particularly follow the mould in my arrangements, there are tunes that are traditionally played in a particular order, especially in isolated communities in Prince Edward Island, Cape Breton and areas in Québec. Sets sometimes end with the players repeating the first tune... 'bringing it home' so to speak. As part of my own entertainment, I prefer to conjure up my own sets... tunes that fit nicely together. 27. Describing the sail to Acadia, Father Lanctôt notes in his book [ref: 29] that "...It is probable that a brother of Perrine Breau, Vincent, was also one of Razilly and Charles de Menou's recruits and on board along with Jehan and Perrine." He writes that Vincent was accompanied by his wife and their three year old son also named Vincent. Lanctôt does not explain why he considers this probable. Arsenault disagrees with Lanctôt and claims that Vincent, the younger came to Acadia apparently on his own around 1652 (at the age of 21). White makes no commitment as to where Vincent, the younger was born or as to when he came to Acadia. If it is true that the Breau's came over with Jehan and Perrine in 1636, then the question must be raised as to what happened to Vincent, the elder and his wife and why did they only have the one child, Vincent? Similarly, Father Lanctôt also declares unequivocally that Jehan's sister, Perrine and her husband, Martin DuPuy who were also newly-weds, joined Jehan and Perrine in the move to Acadia. Arsenault again disagrees with Lanctôt and asserts that Michel is the DuPuy (Dupuis) progenitor arriving in Acadia around 1648. Again, if Martin and his wife were to have come to Acadia, they should have been identified in the Census of 1671 unless they died in the interim. Here as well, Lanctôt does not explain the basis for his assertion. 28. We are using 'acre' here in the same context as the french word 'arpent' is used in the original text of our source. [ref: 30] 'Arpent' was not only a measurement applied to measure acreage (one 'arpent' is about an acre), but an 'arpent' was always understood to be roughly 200 feet square and could also be used as an expression of length or distance. So to say that you had a river frontage of 'deux arpents / two acres' made sense. And to say that your land ran back to the forests some 'une trentenne d'arpents / some thirty acres' was appropriate usage of the word. 29. François Gautherot who also originated from Martaizé, came to Acadia with Jehan and other men in 1632[ref: 32]. But unlike Jehan who married the 'girl back home', François Gautherot who was about 12 years younger than Jehan, married a local Acadian girl, Edmée Lejeune. So, it would not be too much to speculate that Jehan and François Gautherot were probably close friends. When they moved from La Hève to Port Royal, I believe that they took up lands in the same area about 10km up the river from Port Royal. I further believe that the land marked as belonging to Pierre Lanoue in the 1707 Port Royal Census Takers' Map (shown in the 'Promise of L'Acadie' section) is the land that François was granted when he and Jehan Terriot came to Port Royal. Later, when he married Edmée, the two raised eleven children of which six were sons. Also close by was the family of François Savoie and Catherine Lejeune (Edmée's younger sister) who were neighbors (to the west) of the Terriot's. Although François Savoie arrived a little later than Jehan to Acadia, it would make sense that when he and Catherine married, they would seek the same area where François Gautherot and Edmée lived. It is also very interesting to note that Edmée Lejeune came from a very ancient Acadian family. Her father is thought to have come to Acadia with Poutrincourt and Biencourt around 1611[ref: 32]. According to Lanctôt and Rameau de Saint-Père ("Une colonie féodale en Amérique, L'Acadie, 1604-1881", vol. 2., p. 318-320), the Lejeune family was a native Acadian Métis family "...established in Mirligouesh (Indian and Métis village) situated between Cap-de-Sable and La-Hève, We know this because François Gautherot and François Savoye married two daughters from the Lejeune family between 1638 and 1650." Lanctôt goes on to say that three of François Gautherot's sons apparently became 'coureurs de bois / backwoods runners' with the Métis and the Indians. This is evident in that Jean, François and Germain disappeared from the census rolls as each became adults. Two of François Gautherot's sons, Claude and Charles moved to Grand-Pré and we have no records of the other sons. All of the six sons were recorded in the Census of 1671 but in 1678, only two, Claude and Charles were recorded at the ages of 20 and 18, respectively. 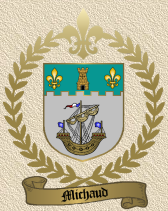 By 1693, no Gautherot heads of households are recorded in Port Royal. The only remaining members of the Gautherot family at that time were the daughters and their mother: Jeanne (married to Pierre Lanoue), Marguerite (married to Jacob Giroud), Marie (married to Claude Terriot), Marie (married to Michel DePuy) and François' widow, Edmée (at age 71). Therefore by 1707 (the time of our 1707 Port Royal Census Takers' Map shown on the "Promise of L'Acadie" section), there were no Gautherot families in Port Royal. The old Gautherot land was apparently inherited and occupied by one of the remaining daughters, most likely the youngest daughter, Jeanne who married Pierre Lanoue. Pierre Lanoue arrived late in Acadia around 1668 and married Jeane Gautherot in 1681. By then, the remaining Gautherot sons were gone to Grand Pré leaving François Gautherot, if he was still living, and his wife Edmée with their daughters. And, click here for details of a very large CYR family!